I don’t know about you, but I regularly burn myself when I mistakenly turn on the hot water tap instead of the cold, especially first thing in the morning when I’m not quite awake. That’s why I’ve fallen in love with this unique and burn saving gadget. 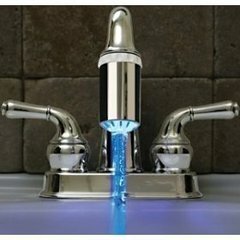 These Hi Tech faucet lights change color depending on the temperature of the water. It remains cold when the water is cold or at room temperature and turns red when the water reaches 98 degrees Fahrenheit. 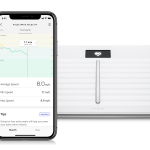 They fit onto your water point and work through the pressure of the water, and there’s no need to worry about electricity bills as this little gadget is battery operated, turning on and off according to your water pressure. Buy it now from Amazon.